The Protection Coordinator – Return and Reintegration, will provide technical support to the Country Program on all Protection initiatives in particular related to return and reintegration including psycho-social support and housing, land and property issues. S/he will work closely with area staff to ensure that protection principles are mainstreamed in return and reintegration programs and taking different contexts (conflict, natural disasters etc.) into account when planning such programs. S/he should ensure that aspects of Psychological First Aid (PFA), PSS, and HLP are strengthened. The Coordinator will be also focusing on monitoring of performance and quality of reintegration interventions, capacity building and mentoring of staff, assessments, coordination, reporting and fundraising for relevant projects. The position expected to actively participate in various relevant forums such as Protection Cluster and sub-working groups, maintain strong relations with selected donors. Contribute to proposal development on Protection programming. Support learning through regular collection of lessons learnt and follow up on implementation of action points formulated based on those lessons. Upon request support the implementation of the Somalia Protection Monitoring System and analysis of information obtained through the system to inform protection response. Maintain relations with return, reintegration and mixed migration actors especially IOM, UNHCR and MMC. Contract : This position is graded as G3 (NM-G) for qualified national staff and the terms of employment will be in accordance with DRC terms for national staff. 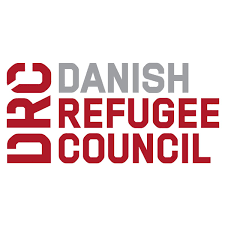 Please forward the application and CV, in English through the online application on www.drc.ngo under Vacancies no later than 23rd March, 2019.